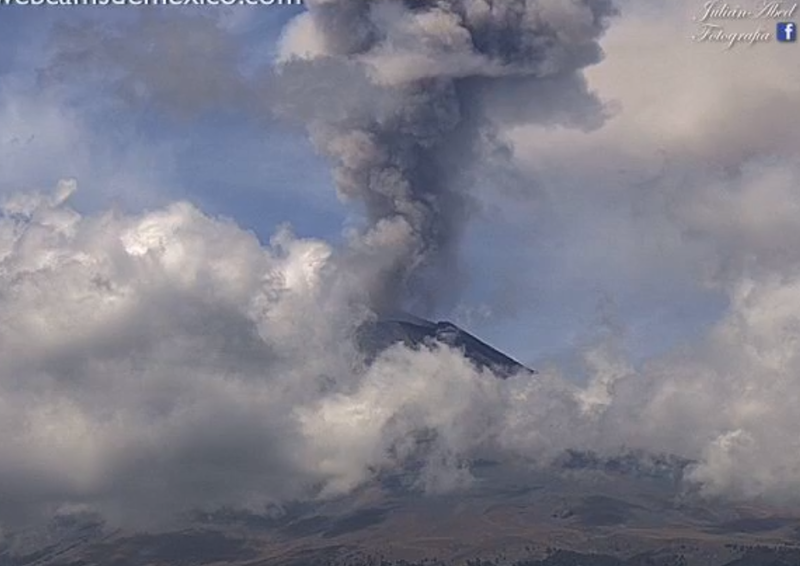 Popocatepetl volcano has erupted, with smoke visible across the state of Puebla. Residents have been warned not to travel within seven-and-a-half miles of the active volcano. Witnesses reported an "explosion" at around 5pm BST before smoke and ash began billowing out of the volcano. Shock photos show the smoke visible from miles around - even from built up nearby towns.